This Dar Ronda 60cm ecru drum shade 3 light pendant with diffuser features a round polished chrome ceiling mount, clear flex suspension and chrome detailing. The 24″ shade is finished in smooth ecru faux silk, fitted with a white acrylic diffuser for a softer light and fixed with a chrome retainer. 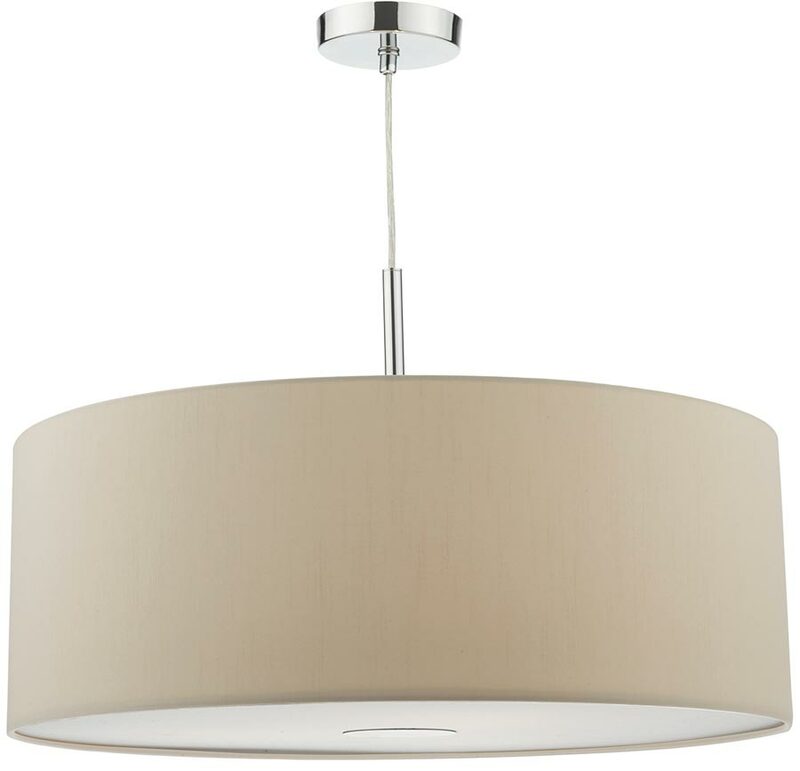 Also available as a 40cm diameter pendant light and in white or slate grey, please see below. Dar lighting is widely recognised as one of the leading suppliers of a full range of innovative, quality lighting products such as the Ronda 60cm ecru drum shade 3 light pendant you see here.